City of Breckenridge, County of Stephens, State of Texas, located at Junction of U.S. 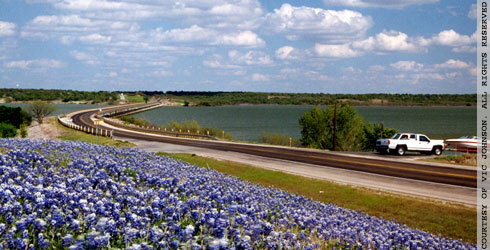 Highways 180 & 183; 95 miles West of Fort Worth, 57 miles Northeast of Abilene. Breckenridge and Stephens County have several effective tools available as incentives for area economic development. Incentives are typically based on primary job creation and may vary on a case-by-case basis. We are also aggressively pursuing quality of life improving businesses and essential services such as day care, etc. The citizens of Breckenridge voted overwhelmingly in 2007 to pass a half-cent 4B sales tax to be used for industry, manufacturing, and business attraction and retention, to help provide affordable housing, and to address other quality of life issues. A city appointed board of seven community leaders head the Breckenridge Economic Development Corporation. Breckenridge has had a half-cent 4A economic development tax since 1990. The new 4B gives the Breckenridge EDC much more flexibility in providing funding for needed projects. The City of Breckenridge is capable of providing reinvestment zones for the purpose of tax abatements, tax increment financing and public improvement districts. Breckenridge has established the entire city as an Enterprise Zone. Qualifying businesses may receive a refund of state sales and use tax paid on equipment, machinery, and building materials purchased for use in the Zone based on the levels of job creation and capital investment. The City of Breckenridge will consider using Tax increment Financing of needed public improvements in a defined area. This form of financing is backed by the tax increment generated by the development. The City of Breckenridge and Stephens County will consider providing a property tax abatement on the appraised value of real property improvements and business personal property, to promote and retain high quality development in all areas of the city. This sales tax sharing agreement in the form of a loan or grant is available to promote local economic development and to stimulate business and commercial activity in the city and county. Various types of goods that are detained in Texas for 175 days or less, and are in Texas only for a limited purpose such as assembly, storage, manufacturing, processing or fabricating are exempt from property tax if considered Freeport property. The City, County and Breckenridge Independent School District will consider this tax exemption. Our local leaders can help you locate and apply for incentives offered by The State of Texas. A brief overview of available programs is listed below. This fund was created as a tool to attract business and create jobs in Texas. Applicants must make significant capital investment, provide high-quality jobs, and complete an Enterprise Fund application, approved in Austin. This relatively new fund is targeted to support projects that create high-tech / emerging tech new jobs or lead to medical or scientific breakthroughs. Since Breckenridge has the 4B Economic Development sales tax in place, loan funds from the State are available to the Breckenridge EDC for eligible economic development projects. The fund can be used for interim, long-term, or gap financing. The Texas Capital Fund provides economic development grants and loans to ‘non-entitlement communities’ such as Breckenridge. Use of the funds include road an utility infrastructure, acquisition and construction of real property, and main street public infrastructure improvements. This program was established to encourage lending to historically underutilized businesses, non-profit corporations and/or small businesses at low, fixed interest rates. This provides taxable and tax-exempt bond financing for land and depreciable property for industrial or manufacturing projects. TMAC provides field engineers to work with small manufacturers to implement technologies and techniques that improve manufacturers’ ability to more effieiently produce high-quality products. Offered through Texas Tech University, the purpose of the SBDC is to assist new entrepreneurs in realizing their business potential and assist existing small business in remaining competitive in our changing global economy. It provides this no cost service through its affiliation with America’s most comprehensive small business assistance network in the country. which benefits small businesses by helping finance long-term loans through reducing risk taken by the lender. For more information on any of these programs, contact Virgil Moore at the Breckenridge EDC, Phone 254-559-6228, Email vmoore@breckenridgetexas.com.